A North Babylon Fire Department fire truck crashed in Deer Park on Sunday morning while responding to a building fire nearby, Suffolk police said. The fire truck was near Oakland and Deer Park avenues when it crashed, police said. There were no injuries and it’s unclear if other vehicles were involved. 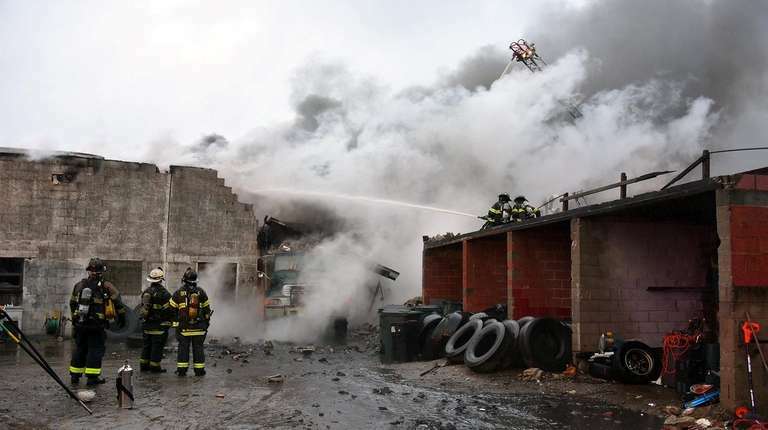 The fire was reported at 879 Long Island Ave., which houses Astro Masonry and is surrounded by other industrial properties. A Suffolk police spokeswoman said authorities didn’t believe anyone was inside the building.